T rue. I’m not passionate about grammar. Yes, I teach it, but I’m not passionate about the topic by itself. 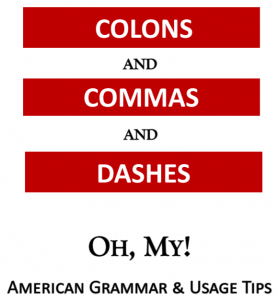 How can anyone get passionate about colons, commas, dashes – or quotation marks? Grammar is a tool, one among many, and the structure helps us communicate more precisely than if it didn’t exist. If we had no end marks of punctuation, if we had no capital letters, or if we had no agreed-upon system of spelling, written communication would be really tough. It’s hard enough to understand each other with all these aids; just imagine how it would be without them. Grammar is just a tool; it’s a means to an end. And as with any tool, it’s important that we know how to use it properly. Why? Because our professional reputation rides on our ability to look and sound as smart as we are, and if we don’t use all the available tools, we may fail. Being seen as smart enough, not only in our specialty but in general, helps us make a solid first impression . . . and that’s critical because, as we all know, we may not get a second chance. 1. The last time most of us took a grammar class was in eighth or ninth grade. We probably were not paying strict attention because we were too young to know we’d grow up to care. It was one of many topics that to our 13- or 14-year-old minds was useless (sort of like algebra, which I admit I have never used since). 2. Even if by some miracle we did pay attention, unless we continued to study the rules, we probably lost track of many of them. It’s also possible we misheard or misunderstood what the teachers said, or that a few of the rules have changed (they have). 3. We often base our current “knowledge” on what others say and write, which can cause a problem for us if they’re not experts in grammar. Your mentor may be a fabulous and caring professional, knowing exactly how to help you succeed, and your company’s VP may know more than anyone how to get the best out her people – but that doesn’t automatically make either of them a grammar expert. If you’d like to challenge yourself and see how much you know now, send for my free quiz that has just eight questions on it, along with the answer sheet. See how well you do! And remember: Getting all (or most) of the answers right is great, but you also need to know why they’re right. 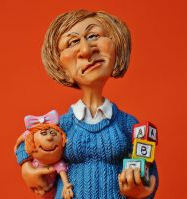 You are unlikely to ever write the specific sentences in the quiz, so knowing the rules that govern is critical. ← Lie, Lay, Lain — These Words Are Such a Pain!